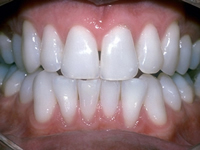 Most of us start out with sparkling white teeth, thanks to their porcelain-like enamel surface. Composed of microscopic crystalline rods, tooth enamel is designed to protect the teeth from the effects of chewing, gnashing, trauma and acid attacks caused by sugar. But over the years enamel is worn down, becoming more transparent and permitting the yellow color of dentin – the tooth’s core material – to show through. During routine chewing, dentin remains intact while millions of micro-cracks occur in the enamel. It is these cracks, as well as the spaces between the crystalline enamel rods, that gradually fill up with stains and debris. 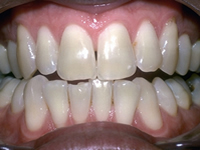 As a result, the teeth eventually develop a dull, lackluster appearance. Tooth whitening removes the stains and debris, leaving the enamel cracks open and exposed. Some of the cracks are quickly re-mineralized by saliva, while others are filled up again with organic debris. Two major tooth whitening options are available. All two rely on varying concentrations of peroxide and varying application times. Book Now!! Significant color change in a short period of time is the major benefit of in-office whitening. 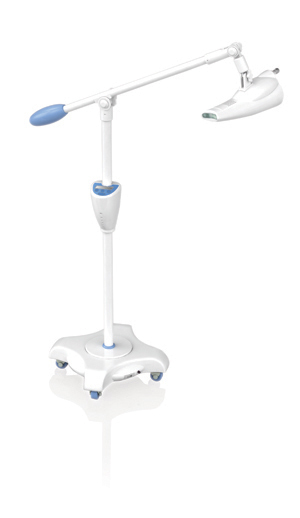 The activated light color of Plasma Cool-light system is blue light which emits less heat than the red light of laser system. This procedure involves the carefully controlled use of a relatively high-concentration peroxide gel, applied to the teeth by the dentist or trained technician after the gums have been protected with a paint-on rubber dam. Generally, the peroxide remains on the teeth for several 15 to 20 minute intervals that add up to an hour (at most). Those with particularly stubborn staining may be advised to return for one or more additional bleaching sessions, or may be asked to continue with a home-use whitening system. because it is old-fashioned and risky. The laser produces relatively high amount of heat compared to cool and blue light system. The heat can damage your teeth and tissue. This varies from individual to individual and also the type of whitening system used. Some people respond very well to teeth whitening and have dramatic whitening results whereas others may notice very little difference at all. the dentist will be able to advise you on the likely results expected with your teeth. Does it hurt ? what are the side effects of Teeth whitening? Some people experience no pain or sensitivity with their teeth. However, the majority of people will experience some kind on sensitivity either during and / or after the initial treatment. This is usually described by patients as intermittent sharp shooting pains coming from your teeth. This should settle down after approximately 48 hours. The dentist may give you a special gel or mouse to apply to your teeth to help with the sensitivity. It is advisable to avoid and hot or cold food or drinks within the first 48 hours of your whitening treatment.